The other day, one of my friends asked me to make her a custom order. 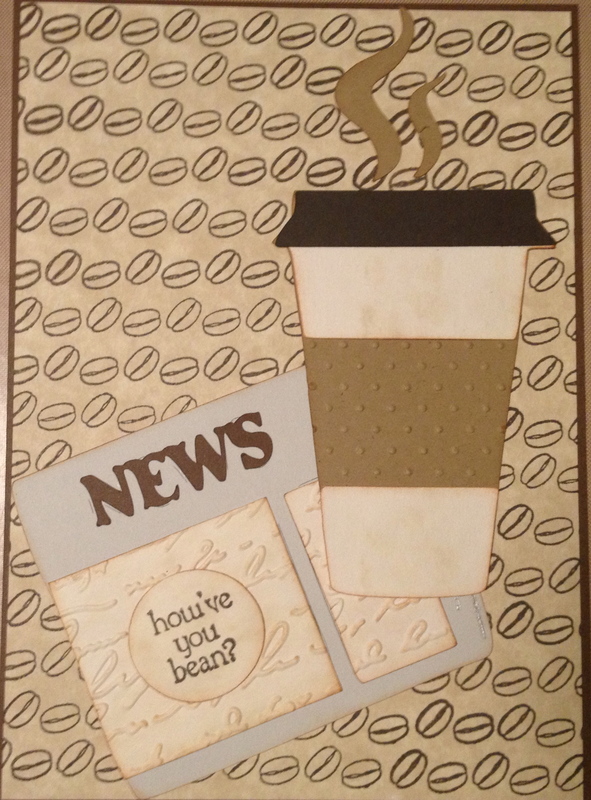 I made a card from her in the past and she loved it so I was so happy to be able to make another one for her. 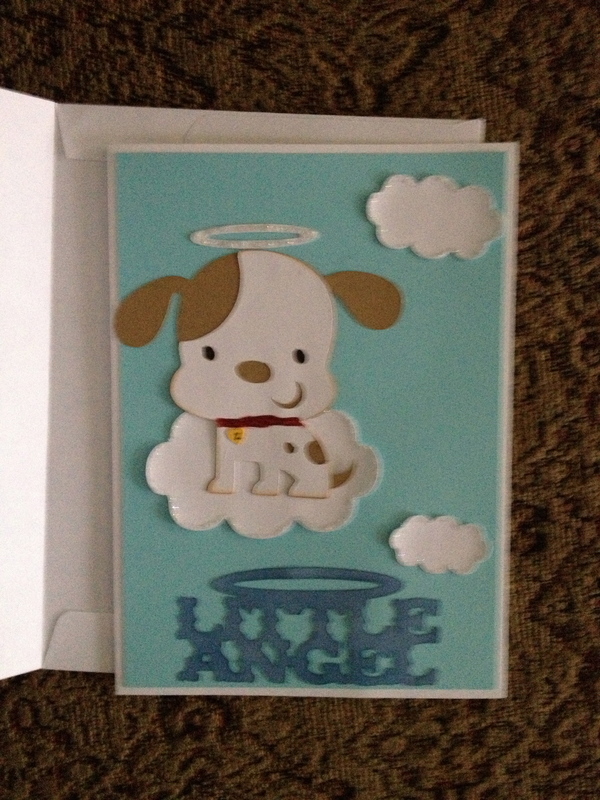 A friend of hers had a baby and she wanted a baby card. No problem! I wanted to make an extra special card for them. So, my friend Marie and I talked about concepts and I told her I had something I thought would work! 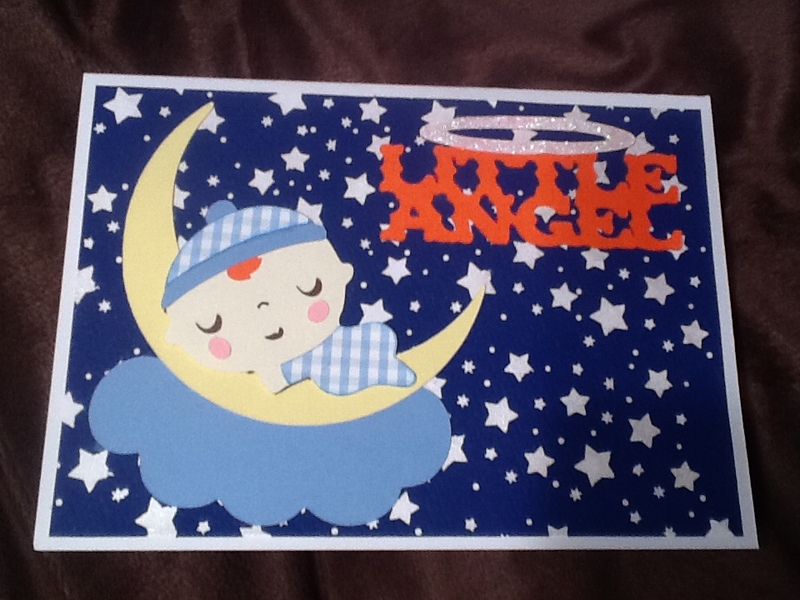 I used the Baby Steps Cricut cartridge to cut out the baby boy sleeping on the moon. 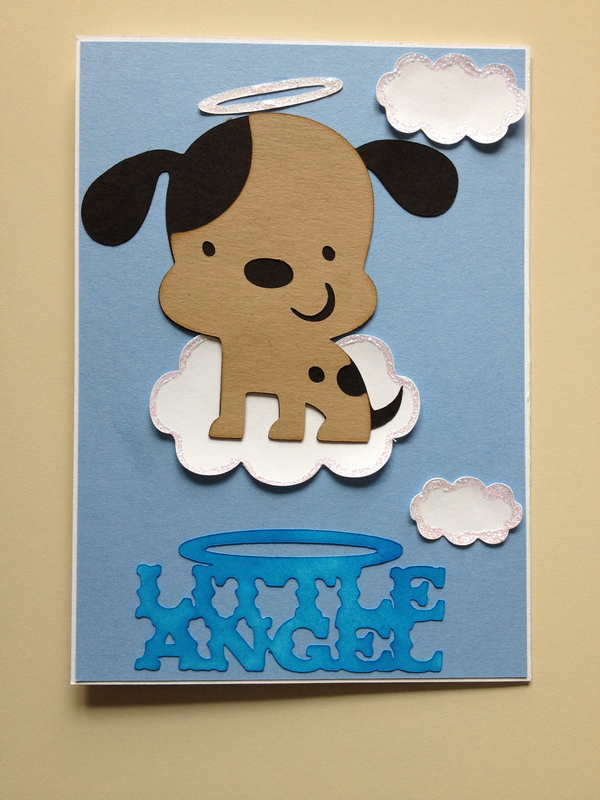 I used the Rock Princess Cricut cartridge to cut out the phrase Little Angel with a halo. I showed her the cutout and she asked if it was possible to add a whisp of orange hair to the baby. I used the hair from another cut from Baby Steps and just glued it under his hat. The “Little Angel” phrase was cut out in orange as an homage to Hayden – kind of like he was looking down on his brother from heaven! 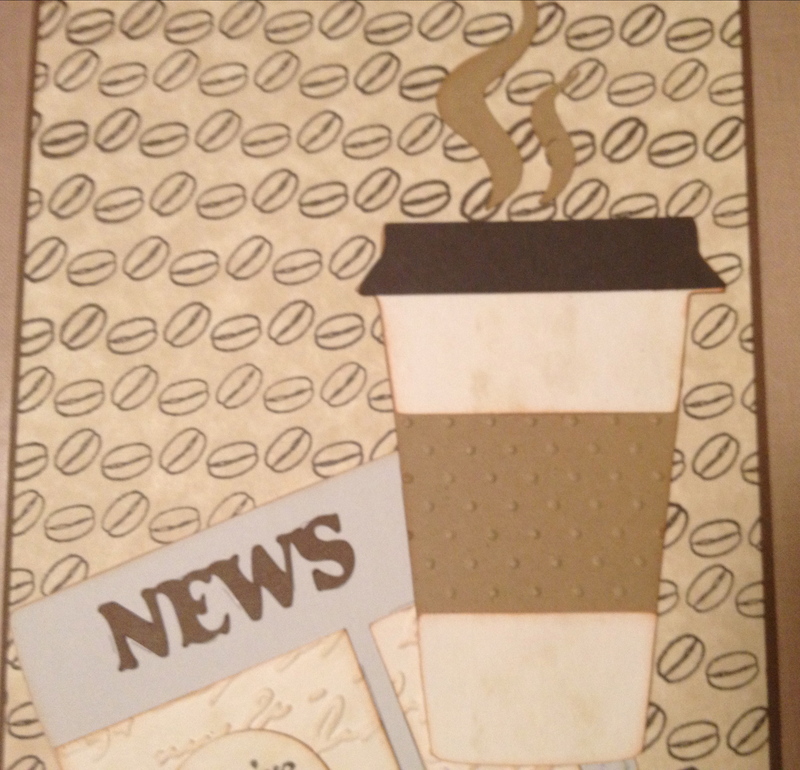 All the layers were glued together and placed on a 5 x 7 card base. The inside reads “Welcome Sweet Baby Boy” from a Simon Says Stamp exclusive stamp set. 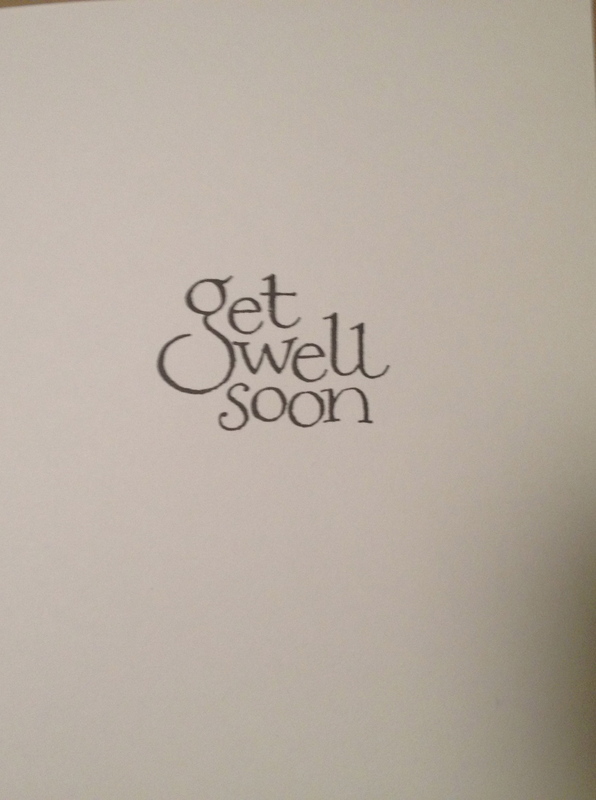 It was stamped in Hero Arts Shadow ink in Navy. (I didn’t get a picture of the inside before I sent it). Thank you so much for stopping by! Feel free to leave comments or questions and subscribe. I love to hear what you have to say. Posted in Uncategorized and tagged Baby boy card, Baby Steps Cricut cartridge, blue gingham, boy, cloud, custom order, Etsy, glitter glue, halo, how to make a card for a baby boy, little angel, martha stewart punch around the page, moon, orange hair, Rock Princess Cricut Cartridge, scrap secrets, shimmer mist, sleeping baby boy, stars, welcome baby boy, welcome sweet baby boy. Bookmark the permalink.